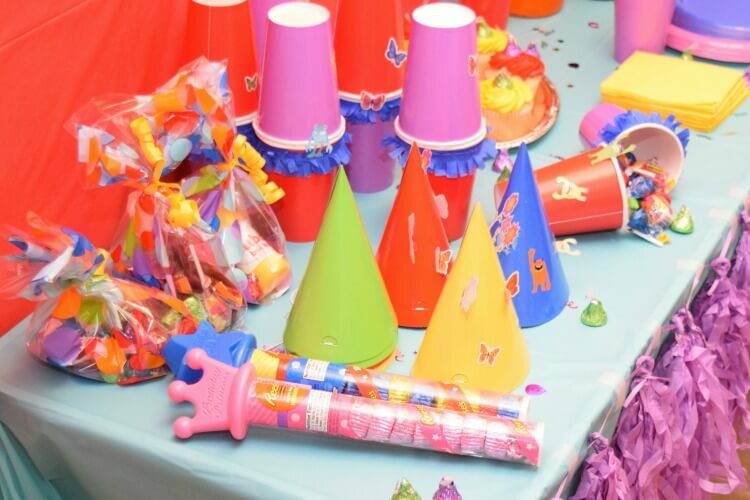 Creating kid birthday parties can feel overwhelming, but with a little planning and some help from Hershey, you can totally make it an easy and fun kid’s birthday party! Birthday parties with Hersheys They now have birthday-themed products you can find in the Celebrations aisle at Walmart. 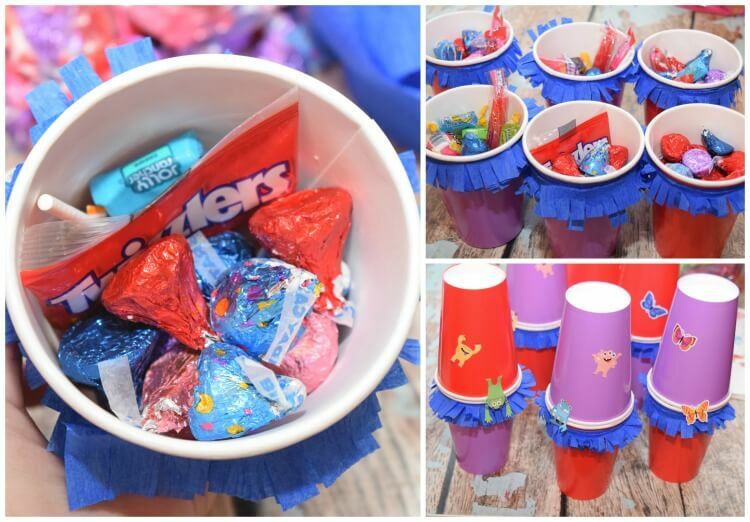 My kids love them, so we planned our little party around them with bright colors and some easy DIY to coordinate. I always want everyone to easily find the birthday party house, so I usually put balloons or some kind of decoration out. I love making wreaths and door decor, so a birthday party is the perfect excuse. 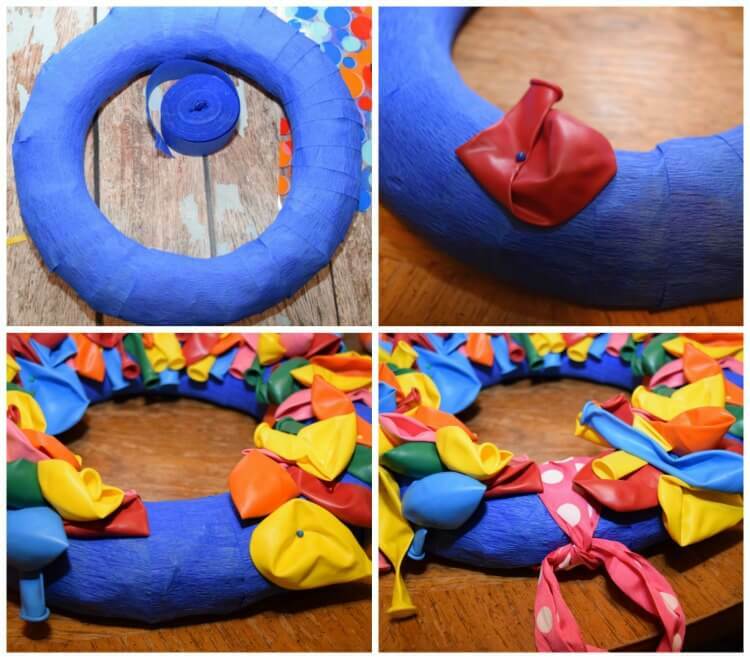 This balloon wreath is incredibly easy. You can make it while watching an episode of your favorite drama on television. Wrap the wreath in a coordinating color of crepe paper. I chose blue. 1. Start pinning random colors of balloons. I’ve seen people use special floral pins for this — you totally don’t need those. Just use regular straight pins. There is no wrong way to do this. Just keep working, filling in balloons, and check often where you need to hide the crepe paper. 2. When you’ve got about 5 inches of empty wreath left, tie a ribbon on to hang it. Then, cover the last of the crepe paper with balloons. 3. I made this printable banner and attached it with glue dots to some of the balloons. That’s it! Most of the time we have a pretty low-key party. The kids hang out together and play. They don’t want mom making them do boring games. We usually have one craft as a bit of an ice breaker. One of our favorites is decorating party hats. We found the coolest 3-D stickers in the birthday supplies aisles. 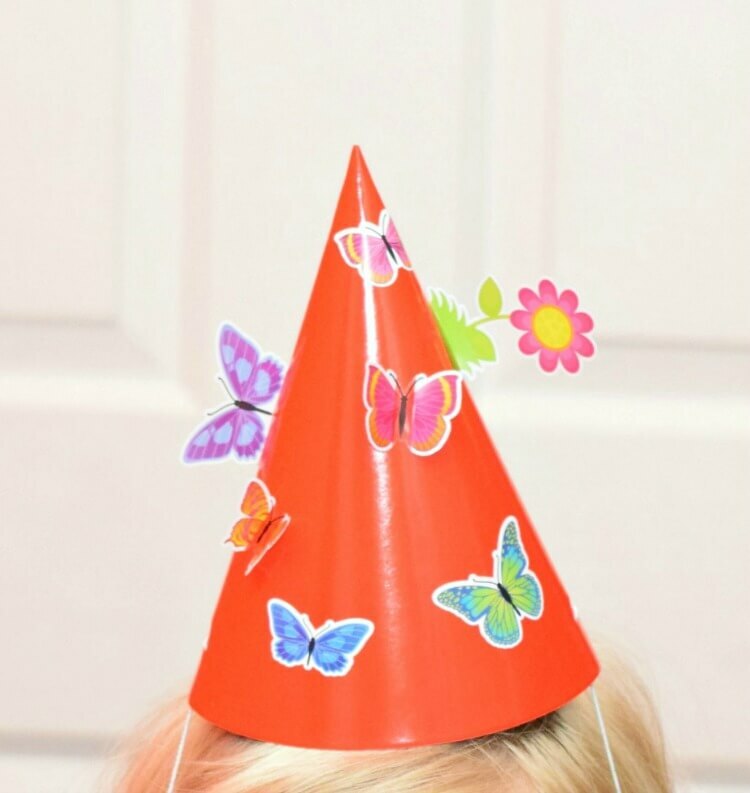 The stickers fold back on themselves so they appear 3-D, and it makes decorating your party hat totally fun. With three kids, we’ve had our fair share of piñatas, and the mad dash to grab the candy and prizes is somewhat frightening. There’s always a kid or two who ends up crying because they weren’t fast enough. I’ve totally solved this with your own mini piñatas! These are super easy to make. 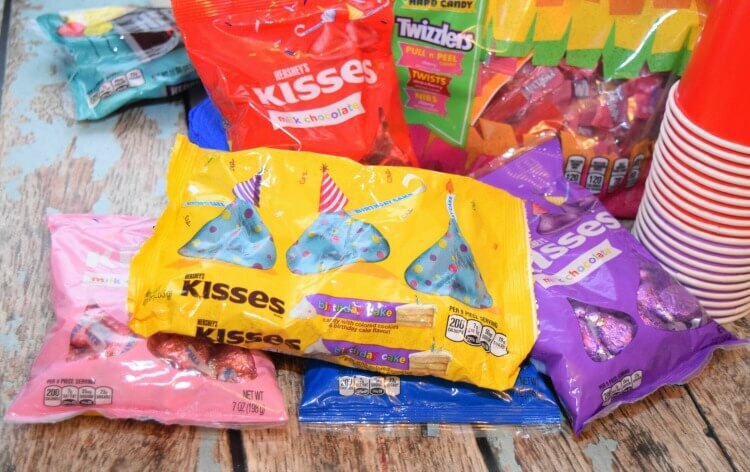 candy such as Hershey’s Kisses Birthday Cake Candies, Hershey’s Kisses Chocolates, Reese’s Peanut Butter Cup Miniatures, Hershey’s Assorted Miniatures, Kit Kat® Miniatures, and Jolly Rancher Lollipops. 1. Take a length of crepe paper about 2 feet long and fold it in half width wise, and then cut fringe. 2. Next, run the glue stick around the top of one cup. 3. Then, glue the folded edge of the crepe paper all the way around. Add more glue stick and wrap it around twice. 4. Fill the cup with candy almost to the top. 5. Take the second cup and add hot glue all around the top edge, and then match it up to the top of the other cup and glue together. 6. Decorate with stickers or crepe paper flowers. 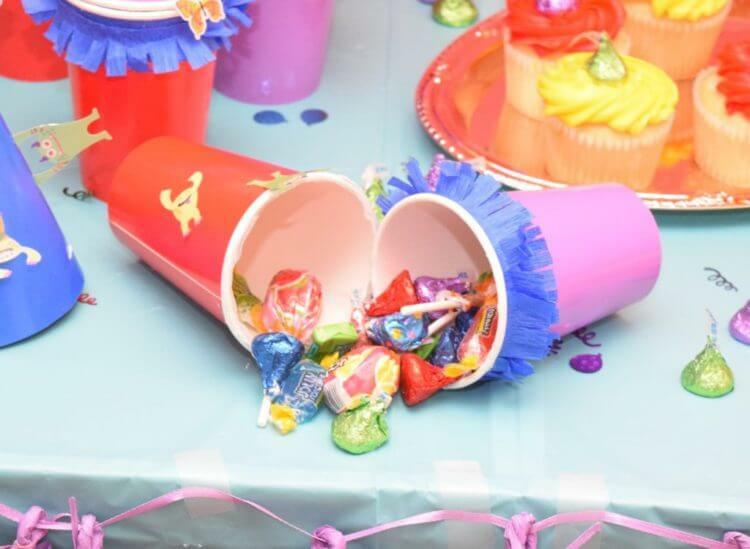 When it’s time, each kid just simple pulls their cups apart for their own piñata haul. Keeping the party low key means we just do cake, punch, and ice cream. I either make basic cupcakes or we buy them at the store, and then we decorate with some added fun like Hershey’s Kisses Chocolates to coordinate. We love unwrapping them for a treat before eating the cupcake! Do you know about the new Hershey’s Kisses Birthday Cake Candies? They have the taste of birthday cake in just one bite complete with a satisfying crunch. They’re also perfect to decorate a cake or cupcakes. Your favorite Hershey products are now available for birthdays in colors to coordinate with any themed party to help make the day sweeter! 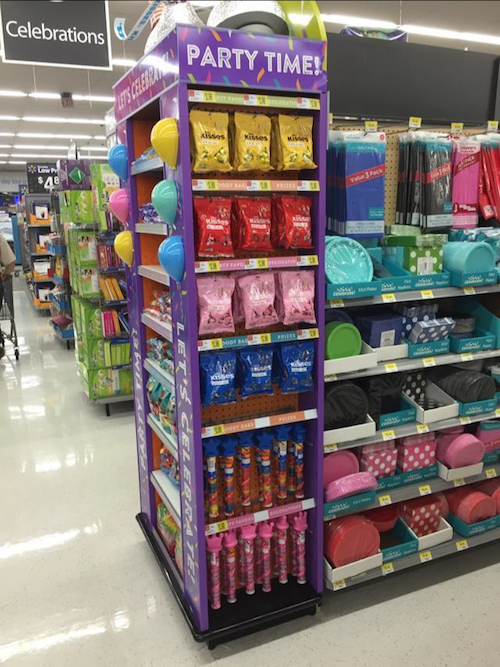 Next time you’re party shopping, you can do it with ease at Walmart for all your birthday party needs with the new Hershey birthday products. 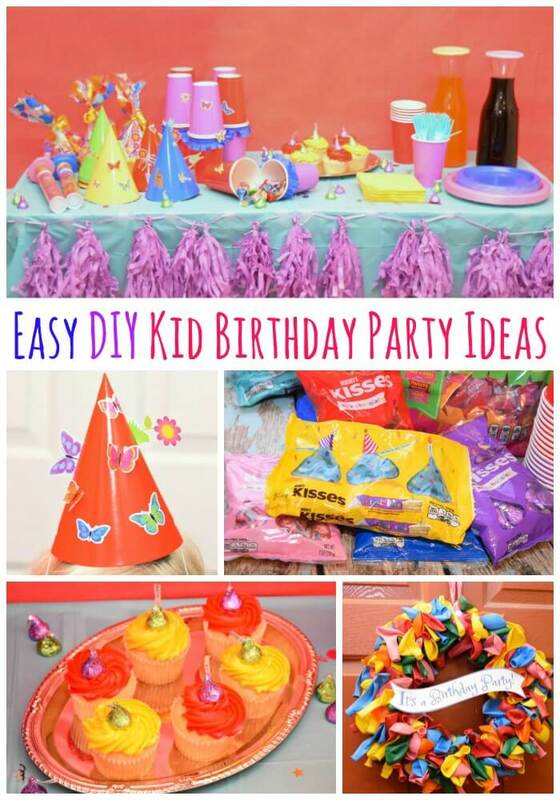 What are your tips for making kid birthdays easy? 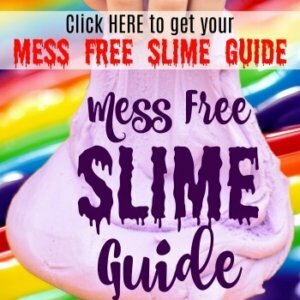 50+ Apple Recipes & More! These are all great ideas! I really love the balloon wreaths. They are so cute and fun! These are so clever! Wow, I absolutely love the wreath. I am going to try these next time! There are a lot of great ideas here! I would even use some of these for an adult party. lol. I think they would love it. That balloon wreath is EVERYTHING! It would be the absolute perfect way to set the tone for a fun birthday party…and you can use it every year and for birthday girls and boys (and grown ups too!) of all ages. I love the balloon wreath!!! I love making decorations for parties like this, they are all great ideas! These are all such cute ideas and details. I would love to create a party like this for my neighbors daughter as my daughter is too big for this now. I love simple birthday parties. We typically do them at home with family. My oldest son has a birthday very soon. I will have to surprise him with a cookie cake. It is his favorite. Lots of great ideas here! The balloon wreath is so cool and colorful. I would have never thought of that. Oh, wonderful ideas! These are really lovely choices and very affordable. Oh that balloon wreath looks awesome! And are those cups like mini pinatas? These are all great ideas! I really love the wreaths. They are so cute!! These are some amazing ideas. I love that birthday wreath. It is so cute! I think you have some awesome ideas! Low key is the way we try to go also. Mostly the kids just want to eat and play with their friends, the decorations are pretty much ignored after the first few minutes. 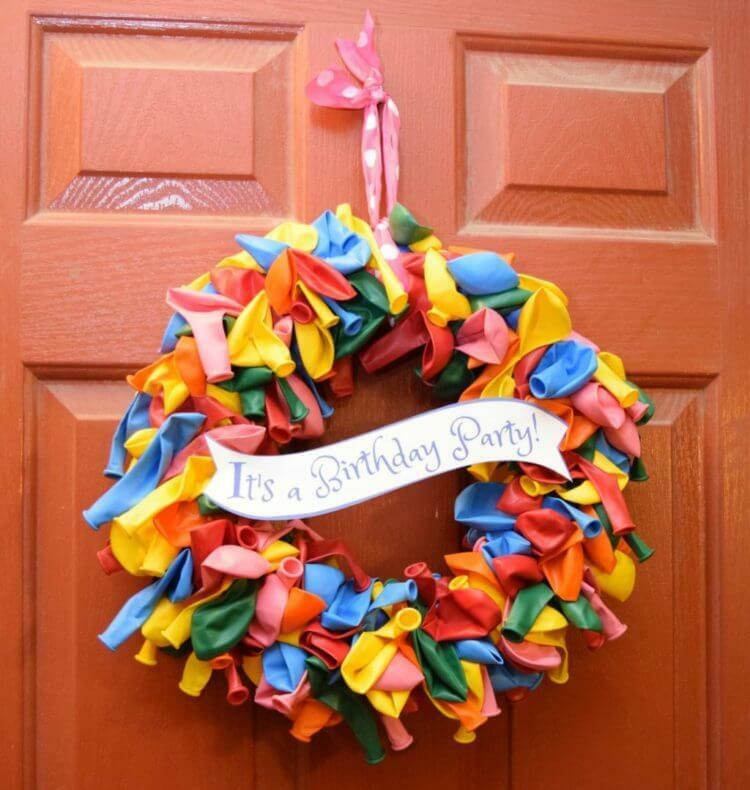 That wreath is such a fun idea to celebrate a party with! Loving all the candy and how colorful it is. 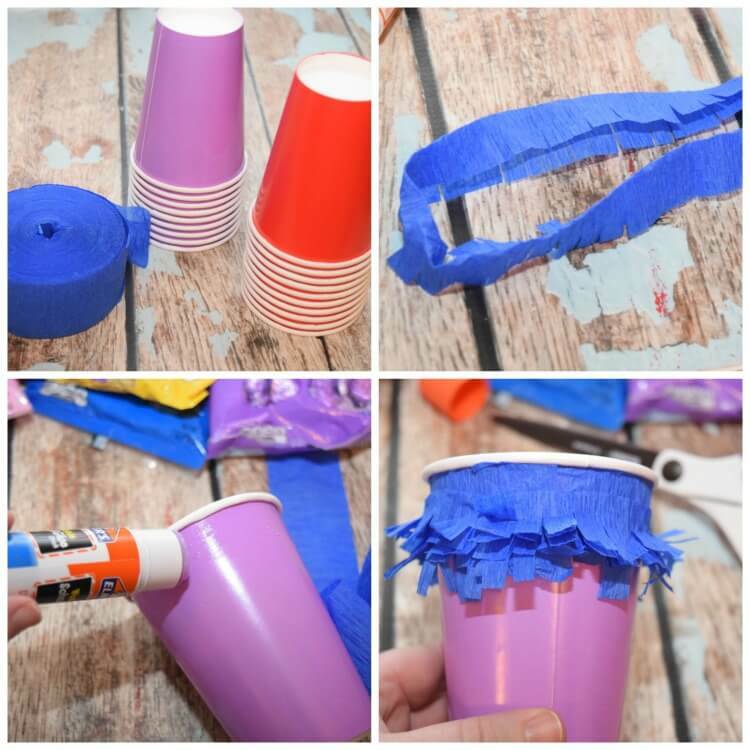 All of these DIY party crafts are too good to not try! I especially loved the decorated hats!